Combining Victorian splendor with regal hospitality in the elegant Borough of Kensington and Chelsea, the unique character of this traditional London townhouse-style hotel is instantly beguiling: a refined combination of luxury, charm and style. Savor the tasteful atmosphere created by the English architecture and London lifestyle; relax in the hotel garden, a truly unique oasis of peace and tranquility in the center of the city. The privileged location, quiet but central, is a special bonus. 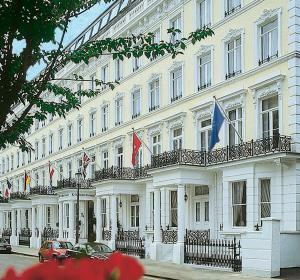 Just a short walk from the underground station, the hotel is also right next door to the famous Earl’s Court exhibition center. London’s many museums and tourist attractions are within easy reach – as are the many exclusive shops and stores in Knightsbridge, home of Harrods. NEW! Secure underground onsite parking is now available!